Is there anything better than lounging poolside on a lush tropical island, cocktail in hand while the stresses of daily life slowly melt away? Absolutely not! Koh Samui might just be the answer to all your island holiday needs. Sure, it’s a little further than Bali but the beaches are all filled to the brim with white sand, there are far less tourists, you won’t fall down a pavement hole into sewage and did I mention there is no black sand? If you’re lucky enough to be on the hunt for your next island vaccay, complete with glorious sunsets, island archipelagos and all the fresh coconuts you could possibly want, we can highly recommend this gorgeous island. Here’s how you should spend 48 hours in Koh Samui. 4pm As with any tropical location, you’re going to need to ease your way into the humidity so once you have located your driver at the airport head straight to your villa at the multi-award winning Samujana. Return airport transfers are included with your stay and there is no lengthy check-in process at the front desk, so your driver will take you straight up to your villa door where your dedicated team (yes you get a whole team of people to look after you) will greet you with a delicious cocktail. All that’s left to do is dive into your glorious infinity pool and take in the spectacular view! 5pm Tonight is the night for slipping into island time and taking it easy, so order up another drink and peruse the in-house menu and order your first of MANY pad Thai’s while you watch the sun go down. 7pm If you’re not ready for bulk chill time, take yourself down to Fisherman’s Village and join in on the action of the walking street markets. Part street party, part farmers market, this is the best of many walking street markets that take place all over Koh Samui from Wednesday to Sunday. The perfect way to tuck into some delicious street food with a Singha beer in hand! 9pm Take the short walk to the beach and kick on at Coco Tams where the music is cranking and you can get all the cocktails you could possibly want delivered to your very own beach cabana. 7am If you happen to be awake, this is the best time to go exploring before the sun gets too hot. Stroll along the beach, grab a kayak or stand up paddle board and view the island from the ocean. You’ll work up an appetite just in time for breakfast. 9am Breakfast time! Most villas and hotels have breakfast included so stock up on fresh eggs, pastries and all of that sweet tropical fruit. If you’re a coffee snob and simply cannot function without the real deal, then head over to Boy’s Organic Coffee (south of the island) or Prego (main tourist area of Chaweng). 11am You’re in Thailand cos you love Thai food right? So what better way to enjoy it than learning the tricks of the trade at the Samui Institute of Thai Culinary Arts cooking class. Get ready to cook up red curry, deep fried fish and papaya salad for around $70, then sit down with the rest of your group and devour your expertly cooked dishes! 2pm After all that exhaustive cooking and eating you will be in need of a swim and a drink and luckily, the institute is not far from Chaweng beach which is lined with bars and restaurants aplenty! 4pm If you’re anything like me, you will want to escape the crowds of Samui’s most popular beach ASAP so head over to the peaceful beach of Choeng Mon where locals and expats like to hang in the sand at the laid back Honey Cottage Bar. 6pm Head back to your villa for a shower, change and probably another cocktail by the pool. 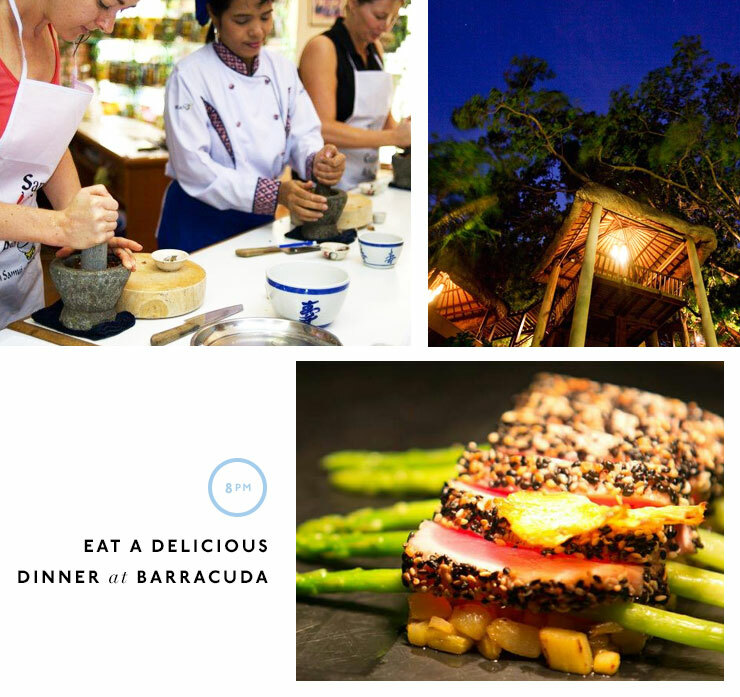 8pm Let’s continue on the eating train with delicious noms from the award winning Barracuda restaurant at The Wharf in Bophut. This Mediterranean-influenced restaurant is stylishly designed and boasts some of the best seafood on the island! Or for a truly unique dining experience, try Tree Tops Sky Dining Restaurant (make sure you book well in advance as there are only 8 tables and it is extremely popular!) Entering via the Anatana Lawana Resort, a wooden path will lead you along a series of raised walkways right into the treetops where 8 individual open-air tree houses overlook the beautiful bay below. It’s the ultimate private dining experience! 8am Chances are you had a few cocktails last night so go easy on yourself and enjoy a sleep in. Once breakfast is out of the way, make sure you squeeze in a massage (you are on a tropical island after all!) You have the whole scorching day ahead of you so what better way to enjoy it than beach hopping your way around the island. Koh Samui is not a big island (about the size of metro Sydney) and it has one main road called the ‘ring road’ that hugs the perimeter most of the way around so it’s hard to get lost. The most comfortable way to do this is by hiring a car or motorbike for the day or organising a driver (your accommodation will be able to assist with prices and arrangement of both). 10am Your must-visit beaches are on the southern and western sides as these tend to be quieter and even more picturesque (if that’s even possible). Start just south of Chaweng at Crystal Beach (also known as Silver Beach and Thongtakian) which many locals think is Samui’s best beach. Think perfect Instagram photos of aqua blue water and palm trees as far as the eye can see, with only a handful of people around. It’s the perfect haven to settle in for some quality, swimming, baking and snorkelling time. 1pm You won’t want to move too far for a bite to eat once you’re here so lucky for you, Crystal Bay Yacht Club at the southern end of the beach can take care of your rumbling tummy and you won't lose sight of the water. 3pm Head on over to the west side to Taling Ngam for an even quieter stretch of beach and finally a little further up to Lipa Noi in time for a much needed cocktail. 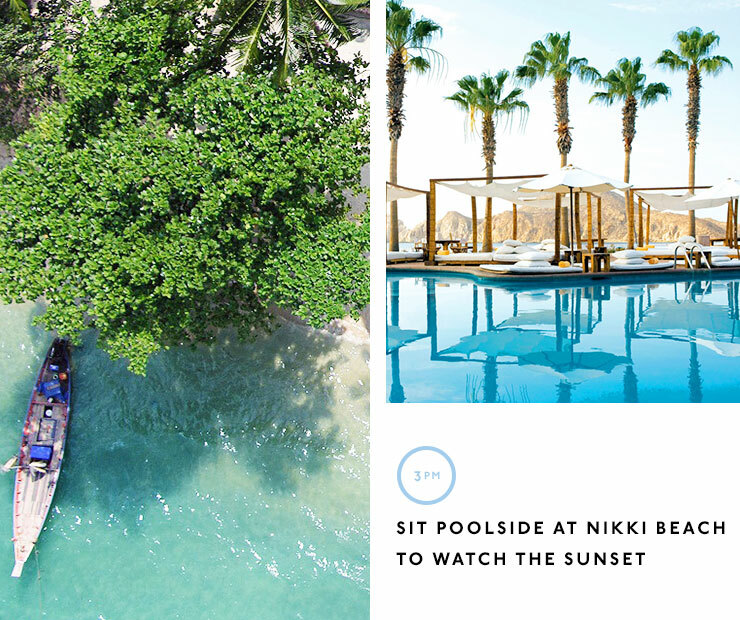 Sit poolside at Air Bar (The Intercontinental), Nikki Beach or Think & Retro Cafe for something a little more casual and to watch the glorious sunset. 5pm Don’t get too carried away as it’s almost time to head back, grab your bags and head to the airport. Sawadee ka, Samui! If you’re anything like me, this is the MOST important decision of the whole trip. 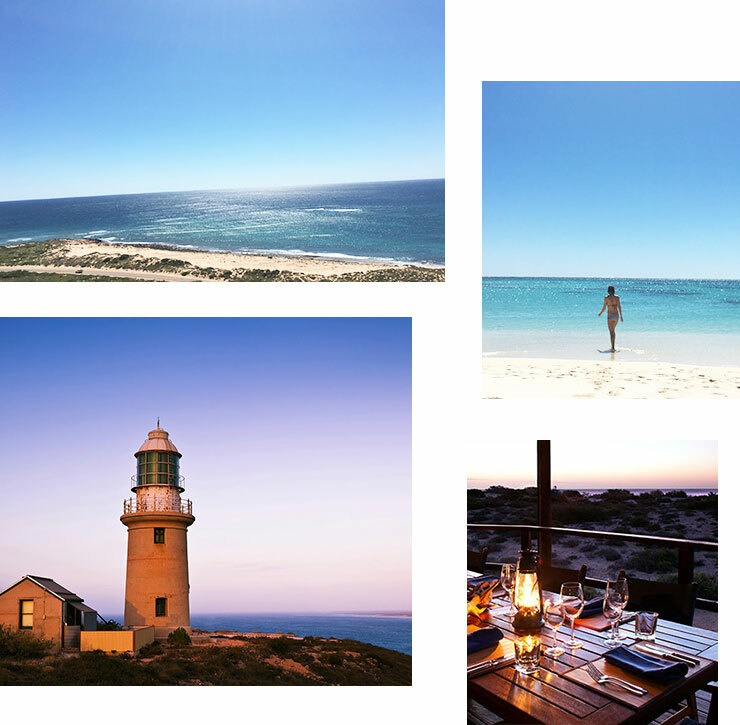 I have personally stayed at all four of these spots and can't recommend them highly enough! Best for: quiet residences right on the beach. Accommodation type: all villas with an additional communal pool and gardens (we stayed in the Banyan Beach Villa with breakfast included). Almost like staying with your favourite cousins, the team at Lotus Terraces are ready and waiting to ease you into their beautiful island life. These villas are open plan, with multiple pools, delicious chef made meals, in villa massage rooms, bathrooms the size of my whole house and plenty of lush green gardens making it feel super secluded and luxurious. Accommodation type: individual villas with all-inclusive packages (mini bar, massage, cooking class, beach trips, yoga, tennis breakfast and loads more). Get ready for the wow factor, Panacea Retreat is next level and includes everything you could possibly ever want on a holiday including your very own Muay Thai boxing ring, tennis court, infinity pools, cinema, gym, sauna, poker room and even your own club! Want to head down the hill to the beach for the day? No problem! They will drive you, set up your shade tent and lounge chairs, and provide a fully stocked esky including drinks and snacks. Now that is how I do the beach! Best for: privacy and quiet, but still relatively close to the action. Accommodation type: all villas have extensive resort facilities and breakfast is included. All villas at Samujana have ocean views but the higher up the hill you go, the better it gets! Get a group together and go all out for a 5-bedroom villa with a private cinema, infinity pool, kitchen and multiple living areas with sensational sea views. Book a private chef or cook up a BBQ yourselves, try the national sport Muay Thai, have an in-room massage and enjoy having your own ‘guest experience manager’ on hand to arrange almost anything you could want! Best for: staying close to the shopping and nightlife at Chaweng but not right in the thick of it. Accommodation type: this is a boutique hotel/ beach resort and no children are allowed. If you are travelling as a couple or prefer a hotel to a villa, then akyra is for you. With modern spacious rooms complete with balcony and room service, a stunning infinity pool right on the beach, pool bar and plenty of sun beds along the sand, you are a stones throw to all the restaurants and bars along Chaweng beach as well as shopping and nightlife along the main road just behind the resort. Hot and sunny, except in the rainy season from late October to mid December when you can expect higher humidity and more chance of rain. Much like Bali. Thai Baht is the currency in Koh Samui and generally you are looking at around 260 THB to $10 AUD. Just like in Bali, the tap water isn’t safe to drink but ice cubes are totally fine as they are mass produced. Taxi’s are expensive and there are no tuk tuks like in other parts of Thailand. Consider hiring a motorbike for your stay or make use of your accommodation’s driver service as much as possible. Tipping is not required but if you do want to tip at a restaurant, you can discreetly add 10 baht per head. Watch the sunset from the western side of the island with a cocktail in hand. Visit the Grandpa (Ta) and Grandma (Yai) rock formations between Lamai and Hua Thanon beach. You’ll understand when you get there. Lol. Visit one of the walking street markets and eat all the delicious street food. See a lady boy cabaret show. The lights, the glitter, the classic tracks—it's everything you want it to be. If you’re staying longer than 48 hours, make sure you organise a day trip out to the small island of Koh Taen. #1 You'll look glam and feel beachy all weekend in this Zimmerman playsuit. #2 Super soft and comfy Levi vintage denim shorts are a holiday must-have. #3 Statement sunnies like these Prism ones will complete any outfit all weekend. #4 This quick-drying, lightweight and candy striped Sea + Current Lifestyle cotton towel is a must. #5 There are no heels required for island life! These Soludus espadrilles are everything you could ever need in a shoe. #6 From beach to bar, this Zimmerman bikini is what all your swimwear dreams are made of. #7 Sunscreen is an absolute must in Koh Samui but avoid the oil slick with this Supergoop! SPF 30+ sunscreen serum. Looking for more travel inspo? 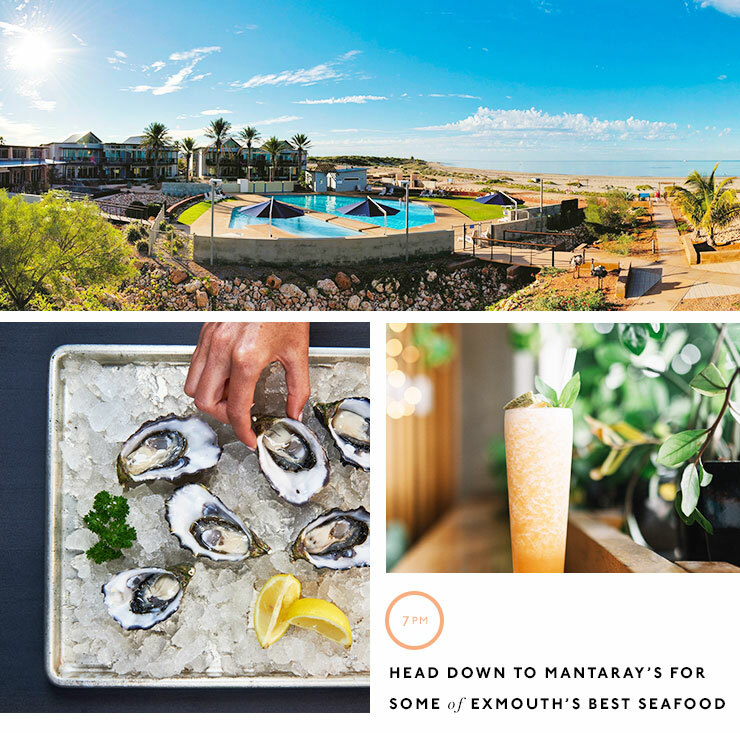 Here's how to spend a glorious 48 Hours In Broome! Image credit: hotels.com, Daily Mail, Katie McAllister, Lotus Terraces, Lonely Planet, Wotif, Samui Villas & Homes, CNN, Wander Luxe, Akyra Chura, Panacea.